You might think you know all there is to know about staying fit and keeping healthy. But when you get down to the nitty gritty, you’re largely in the dark about the world of personal training. Fitness courses are available to teach you everything you need to know and, if you choose a top-notch provider, they come fully accredited. The cream of these courses will teach you all about nutrition and fitness, but with a view to tailoring your courses to match various body types. After all, training isn’t about you – it’s about finding the best match for your customers. Would you take nutritional advice from Johnny Vegas? How about fitness lessons from Jabba the Hutt? Probably not, and with good reason – they don’t have any discernible talent for fitness. This is exactly why most personal trainers match the hyper-fit beefcake mould of cliché. This is the style people expect. Customers demand a body they’ll aspire to, something you can persuade them to work towards. It’s a curious industry – you are the very carrot that clients are racing towards, so make sure you’re an impressive specimen and you’ll accrue tons more customers. 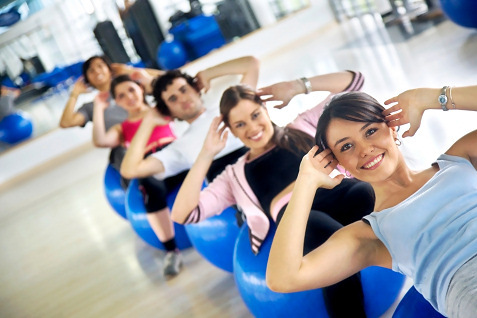 Exercise routines are very much like fashion – trends come and go with the seasons. If you’re a health fanatic, you’ve probably got preferred methods of staying fit. But you’ll inevitably run into some new-age, hippy-dippy clients set on trying some new form of exercising or some mad concoction of vague substances they claim is a health drink. Don’t be snooty about their choices. Provided what they’re trying isn’t dangerous, the motivation their discoveries will foster could push them forward, so incorporate their findings into your exercise plan.